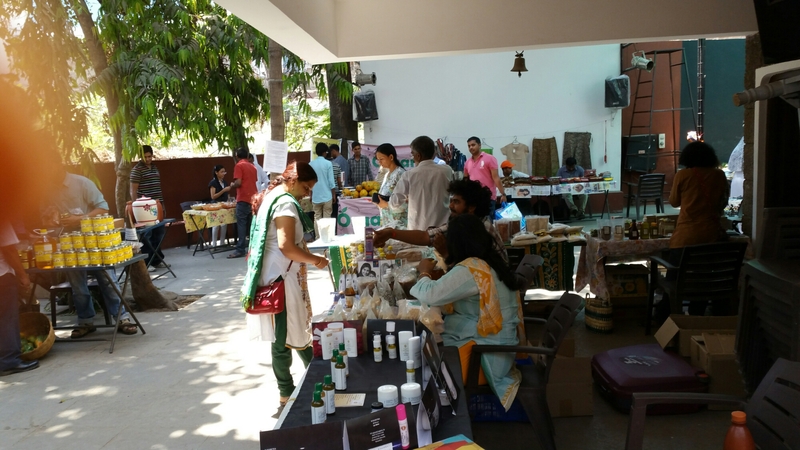 Was checking out events in hyderabad on Allevents.in and came across an Organic Bazaar at Saptaparni that is held on the first Sunday of every month. 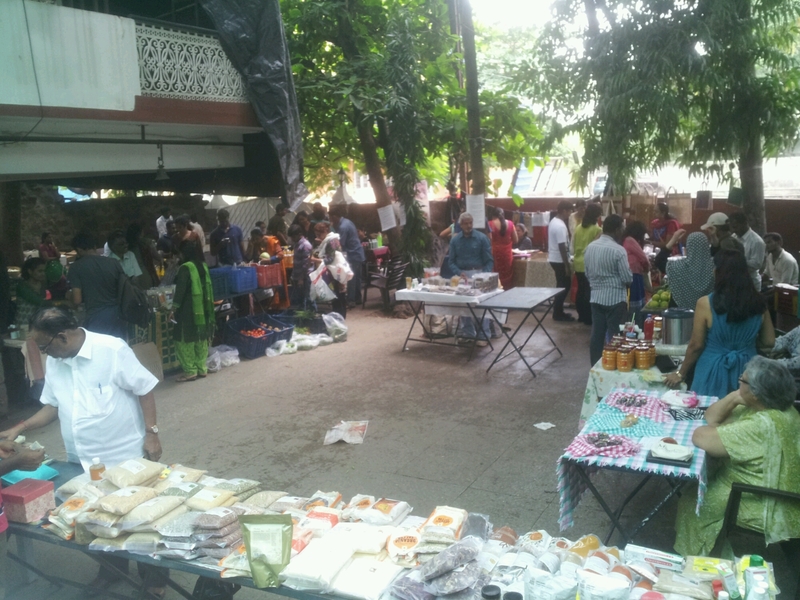 Was curious to see what is sold at the bazaarand visited the place. 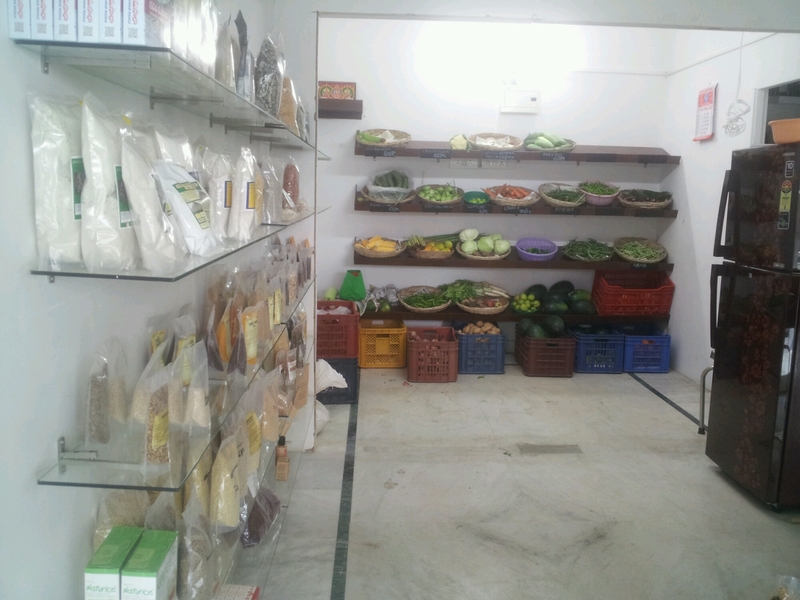 These pics are from Saptaparni , Banjara Hills. 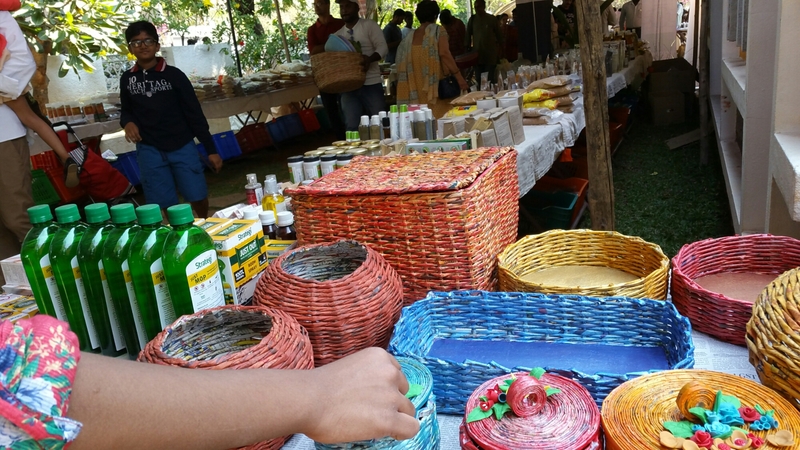 The items were getting sold like hot cakes. 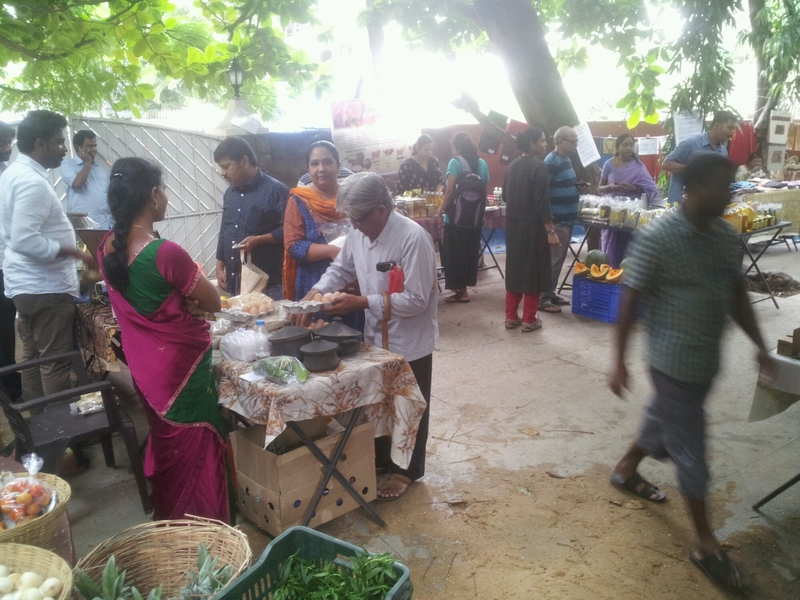 After a few days I learnt that an organic bazaar is also held at Lamakaan , Banjara hills every Sunday. Went there this morning . 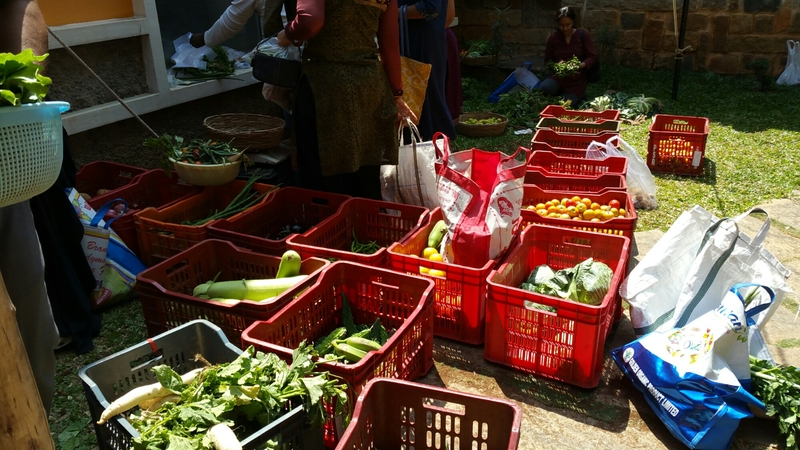 The veggies don’t appear as fresh and as healthy as those on the shelves of a supermarket. They appear a little distorted.There are some veggies from native seeds like tomatoes , ginger , garlic etc. There have bananas which are ripened naturally . Many veggies appear to be a hybrid variety but would have been grown without chemical pesticides and chemical fertilizers. 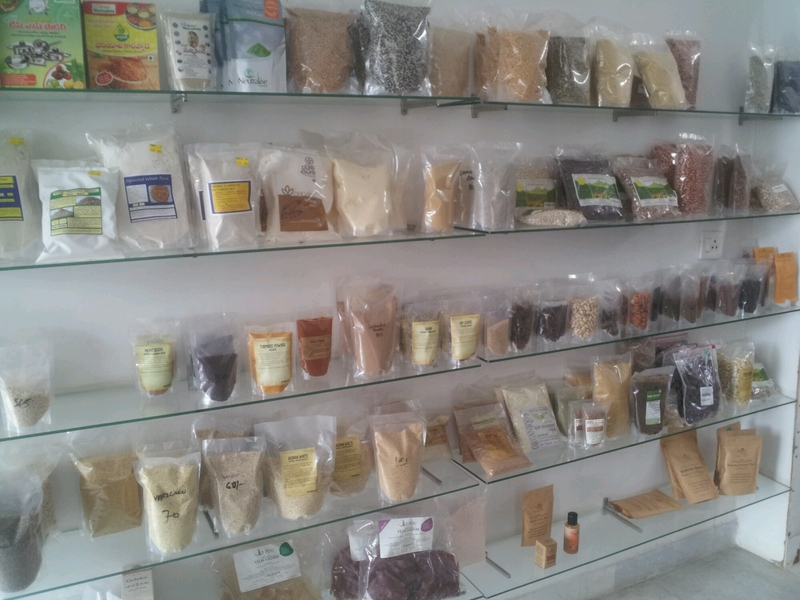 One has to be knowledgeable while buying stuff. 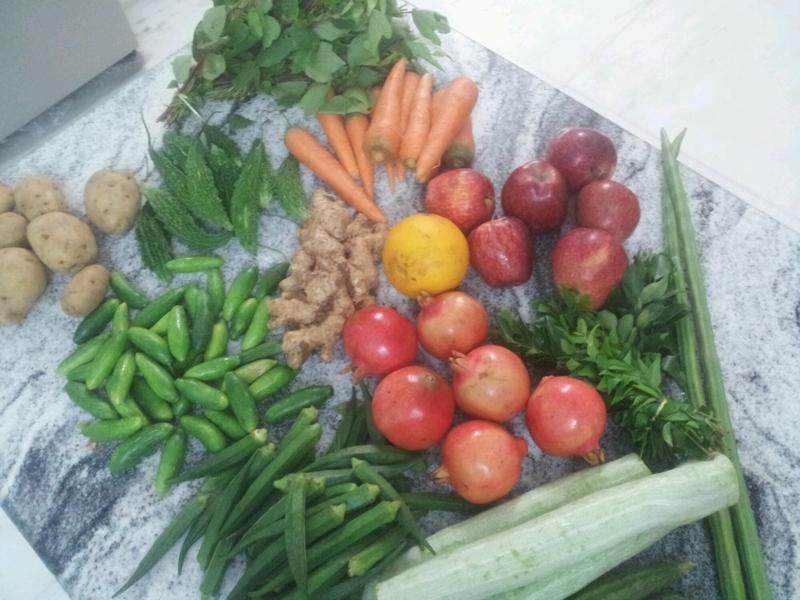 Here is the produce I bought this morning . 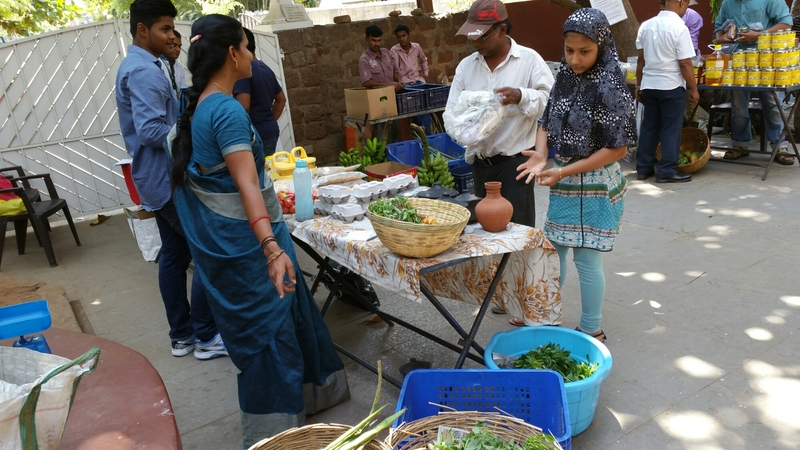 There was this girl who was selling organic produce from her dad’s farm in Krishna district of Andhra Pradesh. 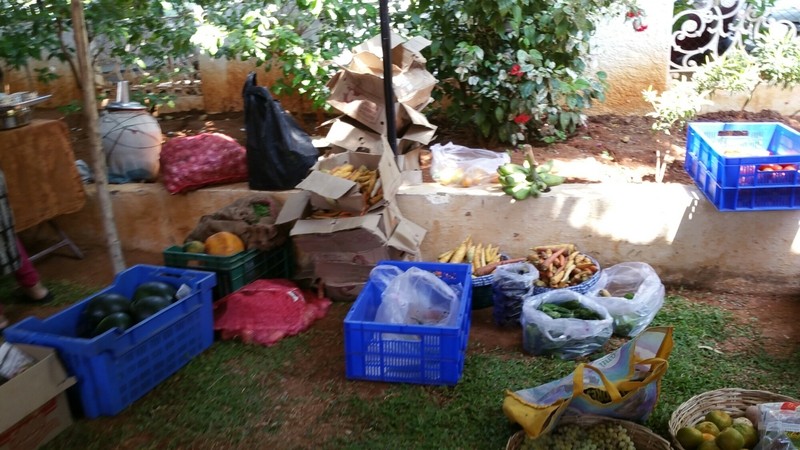 She says that they use natural manure which makes the produce tasty and nutritious. I checked the Facebook page mentioned on the packet and found that her father did receive awards . 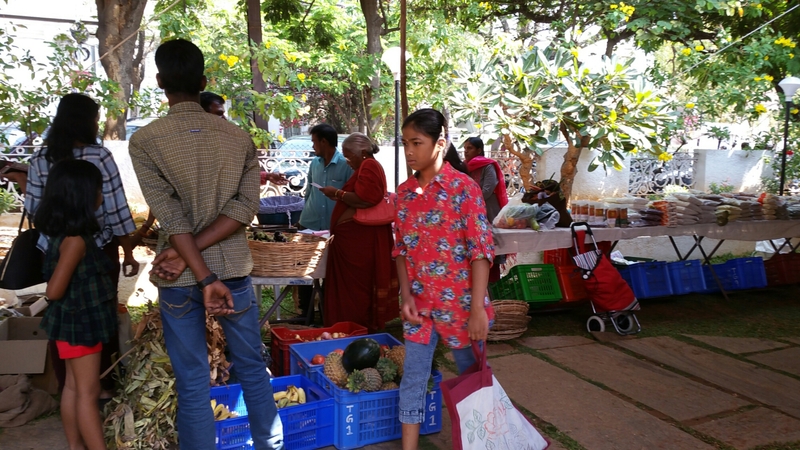 UPR Organic farms is created by this girl for her father. 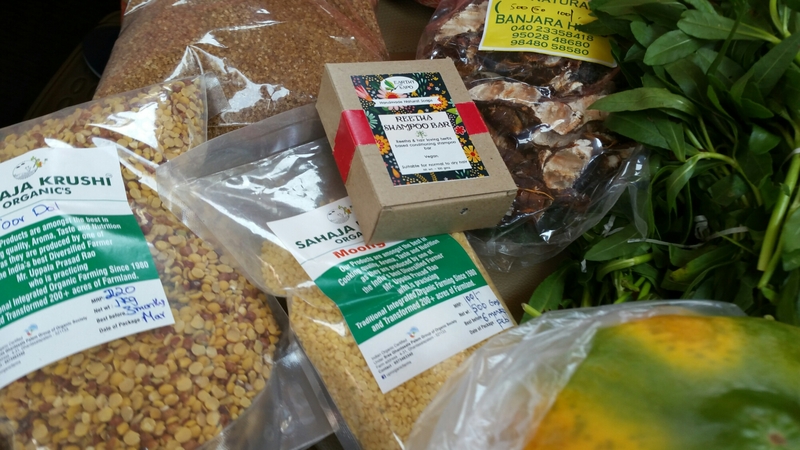 Got me thinking about the good stuff that the girl is doing for her dad and the society and for popularizing organic stuff. 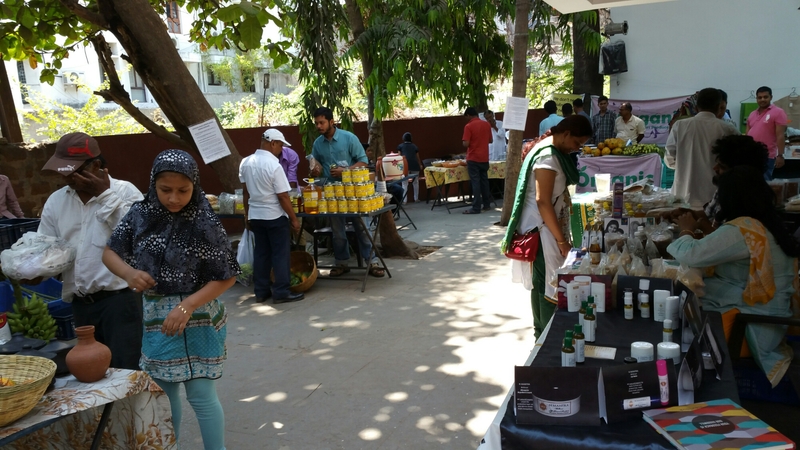 Categories: Uncategorized | Tags: groceries, Hyderabad, lamakaan, organic, organic bazaar, Saptaparni, veggies | Permalink.